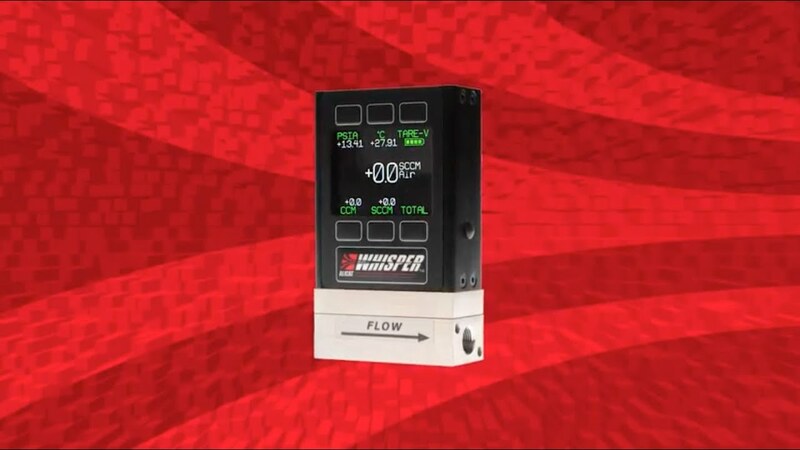 “Whisper” series mass flow meters with low pressure drop are the perfect instruments for measuring mass and volumetric flow rates. Low pressure drop minimizes system impact, enabling flow measurement at near-atmospheric pressures or when there is little available system pressure. A very wide usable flow range and on-board calibrations for multiple gases will keep this flow meter in operation for a long time. Accurate. Measure flows with NIST-traceable accuracy for a variety of gases down to 1/200th of full scale, or define your own gas composition with COMPOSER™. Connected. Alicat flow meters feature dual digital and analog communications by default and can be ordered with Ethernet/IP, EtherCAT, DeviceNet, Profibus or Modbus (RTU and TCP/IP) communications for easy integration into your digital industrial or laboratory network. Alicat’s MW series is suitable for use with non-corrosive gases. Applications like methane production or hydrogenation benefit from comparing the mass of gas added to the bioreactor with the mass that has been outgassed. When outgassing occurs at atmospheric pressures, the very low pressure drop of Alicat’s Whisper series will not induce backpressure while quantifying outgassed mass.